You might hate to get emails, but email marketing WORKS! There are several reasons why you continue to get so many emails in your inbox, why big name businesses continue to ask for your email address and why you’re willing to give your email address to companies you know are going to send you emails. There’s a personal touch to emails, especially if you do it right, by segmenting your lists. By separating your contacts into current customers, new customers, potential customers, etc., you can send them information they specifically will benefit from. You can use emails to “complete the sale”, especially with an eCommerce site. We have ways to follow up with customers via automatic email who have logged in, started shopping and abandoned their shopping carts. You can create exclusivity- share offers and deals available only to those people who have signed up for your email list. Besides your website, it’s one of the marketing tools you actually own. Your email list is your bread and butter. If Facebook or Google ever go away, you can still send out an email to get in touch with your clients. It’s a very simple customer service tool. While Facebook and Twitter can also be used to answer questions, get feedback, etc, it can be a more direct approach to responding. Not everyone has Facebook, Instagram, etc. Everyone, even your Grandma, has an email address. 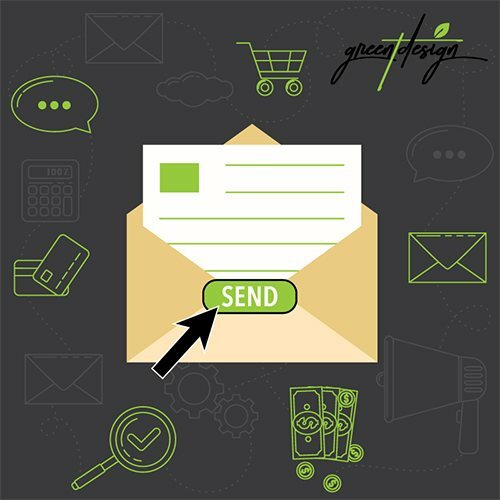 If you’re on the fence about email marketing, or just aren’t sure where to start, contact us today. We can help you gather email lists, create strategic email marketing campaigns and design beautiful email templates for your next promotion.